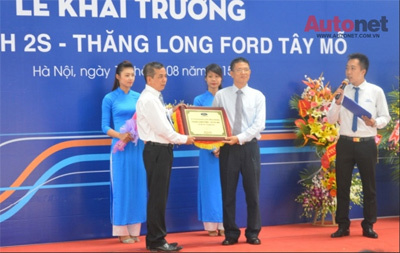 On the 12th of August, Thang Long Ford has opened the first 2S branch in Tay Mo, Hanoi, thus raising the number of Ford Vietnam dealers across the country to 29. Thang Long Ford Tay Mo’s total investment was 6,4 billion VND and features a 5.600 m2 area with 2 floors. The 2S showroom will provide genuine spare parts as well as maintenance and repair services for Ford customers. 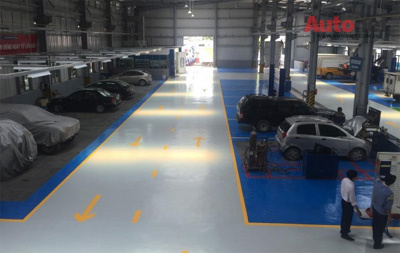 Of the total investment of 6,4 billion VND, 2,5 billion was invested in modern equipments under the brand’s global standard such as 2-axle and 4-axle lifts, chassis bending equipments, central vacuum system, 17 repair booths and 2 paint booths that guarantee timely and comprehensively services to customers. One special feature of Thang Long Ford Tay Mo 2S is its Quick Service booth that meet Ford Asia – Pacific’s global standard. Customers will have to spend only 1 hour to get their vehicles repaired with this service. 28 professionally trained employees made up the service team at Thang Long Ford Tay Mo including technical staff, consultant staff, customer care staff and sales staff. Mr. Pham Van Dung – Ford Vietnam’s new General Director shared at the opening ceremony of Thang Long Ford Tay Mo: “The new showroom will continue to contribute to our dealer network in Vietnam in providing professional maintenance and sales services to our customers. 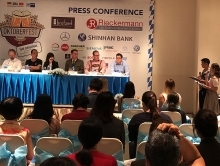 This is one of the proofs that demonstrate our commitments in expanding our scope of activities in Hanoi as well as across the country to meet customers expectations in Ford Vietnam”. 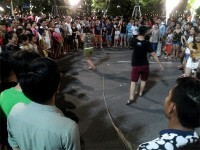 Also on the occasion of its opening, Thang Long Ford Tay Mo will introduce various incentive programs such as free inspection, free t-shirts or coupon of car-caring services for customers who choose to buy or maintain their vehicles there./.